Join our six-month residential program that integrates spiritual practice with meaningful work. The Nyingma Mandala is a Buddhist community based in the United States and rooted in the Nyingma lineage of Tibetan Buddhism. Tibetan lama Tarthang Tulku founded the community in 1969 and continues to lead it today. Over one hundred people work and reside full-time at our centers worldwide, many of whom have devoted decades of service. Many more practitioners have volunteered part-time, attended classes and retreats, or participated in full-time programs for shorter periods. Since the beginning, the Nyingma community has engaged in many different projects to preserve Tibetan culture, share the Buddhist teachings, and benefit all beings. Our community refers to these projects collectively as a mandala of organizations because each one embodies a specific quality that supports, balances, and enhances the others, as well as the community as a whole. Nearly half a century ago, Tibetan lama Tarthang Tulku came to the United States and founded the Nyingma Mandala. 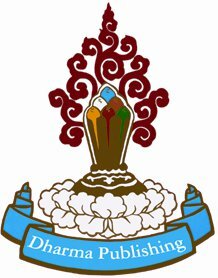 Since then, our community has accomplished remarkable things: distributing millions of books in the Tibetan language, creating a magnificent home for the lineage in the West, publishing over 100 books in English, and more. Now we are passing on the Mandala vision to others. We wish to create an enduring legacy, to promote the flourishing of the Dharma in the West, and to inspire each other to learn, grow, and awaken our full potential. 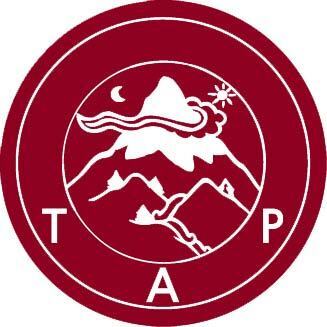 The Mandala Training Program is a six-month, residential work-study program based in Berkeley, California that introduces students to the vision of the Nyingma Mandala. Students live, study, and practice at one of our residential Berkeley centers: the Nyingma Institute, Dharma College, or Mangalam Center, which are within walking distance of each other. Classes take place at all three locations. Students work for one of the community’s projects in Berkeley: Center for Creative Inquiry, Dharma College, Guna Foundation, Light of Buddhadharma Foundation International, Mangalam Research Center for Buddhist Languages, Nyingma Institute, Nyingma Trust, the Prayer Flag Project, the Prayer Wheel Project, or the Tibetan Aid Project. These projects and organizations are almost entirely staffed by full-time residential community members. Long-term members of the Nyingma community dedicate their lives to serving the Dharma and deepening their own understanding. As a student in the Mandala Training Program, you will learn our approach to the study and practice of Buddhism and participate in the community’s way of life. After completing the initial six-month program, students who wish to make a longer commitment may be invited to move on to the next level of training. Opportunities are available to participate in an incredible range of activities.